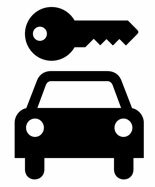 Donating your vehicle is simple, free, and convenient for you! Be the key to finding the cure to ALS and bringing to hope a person living with this disease by donating your vehicle today! Every donation makes an impact and that is why we work so hard to make our donation simple for you and to maximize the benefits of your gift. For this reason, we accept most car donations, running or not, and offer transferable titles, all at no additional cost to you. Additionally, your gift may even be eligible for a tax deductible receipt (please consult your tax advisor for additional details). Donating your used vehicle is a great way to help The ALS Association. Save yourself the hassle of selling and receive a charitable tax donation. All types of vehicles are acceptable including trucks, RVs and boats. Complete Online Form. This easy to use form can be completed online or by calling the following toll- free line at 1-888-852-0305. All that needed is basic information about you, your vehicle, and it's current location. Arrange Pick-Up. Within 2-3 days of receiving your car donation form, ARS will reach out to arrange a convenient pickup time of your vehicle. Vehicle Towed Away. A few weeks after your vehicle is processed and sold, a tax deductible receipt will be mailed to you directly.